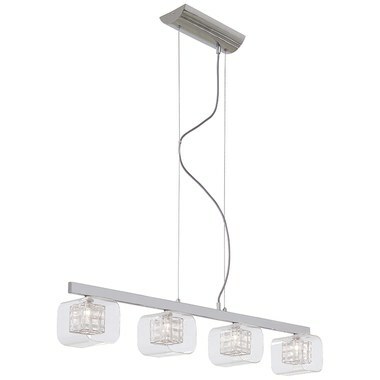 The Jewel Box four-light linear chandelier is a treasure trove of visual delights. Boxes made of aluminum strands that cover the light sources are surrounded by open clear glass shades to create a gem-like sparkle when lit up. The shimmer from these cages is further reflected off the Chrome wall plate to illuminate your space.